I have a fascination with being human, and the ever deepening intricacies this exposes. Interested in things like why did I stop writing little blog posts? Or love letters through monthly newsletters? I appreciate the meaning making through thoughts, such as switching to a fancy phone has been a distraction, and social media has sucked me under her prowess. There has also been allowance, for time will shift and a knowing that words come, if they must. There was that big hospitalization for my daughter in winter of 2015 as it turned to 2016 that was a bit dizzying to the ability to write. 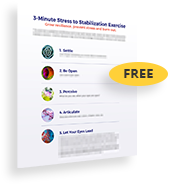 There was the tangle of how to raise children after divorce, and in modern day dynamics with more folks and their differing needs and experiences and systemic patternings that do not always sync up. That can be some scary stuff when you prefer order and some semblance of control. And then came 2017, not without the election of complete discomposure. Not one single posting in twelve whole months. Not a peep about prana, the wisdom teachings, or lessons, or love, or even disappointment. Nope. It was a time of survival in some ways. It was a system saying, I can’t. And somehow, as the Spring came this time around, with wildflowers, too much pollen, and baby quail, I have words, and songs, and gentle feelings, and ripe wisdom from a chapter in which the best and more brilliant thing was resting within an internal space until all reorganized in a way in which I could unfurl in my own perfection. For most, they may have missed all that dismay and darkness and that’s okay. I am learning. Always. We are each at our own pace, with our own material, and our lineage, and of course our physiology. Wild that one could both function and sustain, while not knowing they could one day, one morning, know a deeper nourishment and easefulness in the world. Through the brilliant offerings in Organic Intelligence® (nourished by many other understandings in Spirit and science), led by a most incredible teacher, Steve Hoskinson, it seems my being human experience is shifting, yet again. The parts where there have been pain are so deeply supported when I have access to pleasure. When the internal world has the ability to stay in sync with the majesty of the external there is a remembering that perhaps I did not know within this precious human life. There is the waking up to what surrounds me as a much larger truth than what often has been a self contained vortex. Birdsong, cloudscapes, mountain profiles both wide and tall, even small city noises amidst an entire desert land settle my vulnerable system. An organic network that often succumbed to another salty sea wave of fear, emotions too large to integrate, sensations that constricted, and often stories that kept a wee one now grown from the world of here and now. Many mentors, and wise ones have held my hand, and my heart, and even my terror when it hurt to take a breath. There have been invitations not to go deeper into what had become an abyss, but to tread with more ease in this exquisite world. Laughter even, and quieter tears like the once diamond rains I walked beneath on a Central American coast become me. As a yogi on a path with a genuine pursuit of waking up, there was a moment of shame for just how long I was asleep. Nope. There have been urges in a time of the great feminine to be the fierce one, to never hold back. Nope. Or to just blindly love my way through. No again. And that old tale of needing to be saved, and inhibit my boldness. Nope. It just happens to be a delightfully ripe morning in which the air is magic, and a love note, that is so slight has the room to be expressed. As a journey sprite I can discern the spaciousness that brings me in touch with life and her inhabitants of all forms rather than a separation. Expansion that is big enough to know intimacy with sweetness rather than overwhelm resides here. Connectivity with my beloved, my children, within my friendships, of course my four-legged heart bomb, and a freely passing moment. There is a trust in how this humanness will continue to fascinate me. And these words, no matter how insignificant, feel good as I welcome them. These utterances that convey where I am on the map of my ever changing world, one that is shared with all life, are felt and held and meaningful for a breath or two. Originally published on Temple Love Yoga. 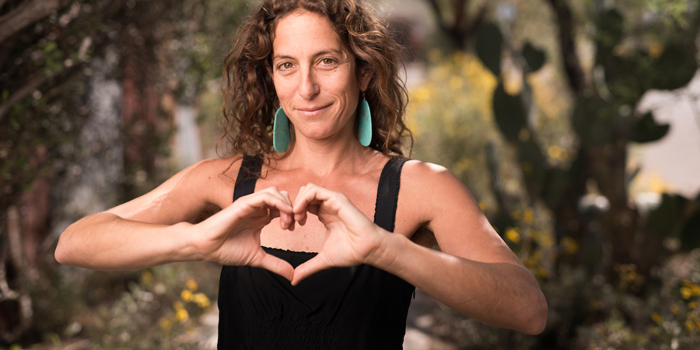 Michelle Marks, MA is a mother, poet, holistic mental health practitioner, and yoga teacher in Tucson, Arizona. She has a Master’s Degree in counseling psychology and an extensive background in the healing arts, including somatic therapy and biodynamic craniosacral therapy. Michelle is a student in the Tucson HEARTraining®.